Beer pairs with a great many things, primarily food and good company, but it’s fun to explore the less-cerebral marriages, too. Consider roller coasters. Both the beverage and the ride are capable of taking you on a wild adventure of the senses. Now, personally, the last thing I want to do after enjoying a few pints of beer so delicious that I’d hate to part with it any way other than out my urethra is get on a terrifying, souped-up Radio Flyer that defies gravity. Far be it from me to tell you how to enjoy your suds, but I recommend hitting the following destination-worthy coasters first and then the accompanying tap houses afterward. For if you’re intent on tasting the beers a second time, rather than bring ’em up rounding a giant, mechanical corkscrew, just order another round. Today there are far too many world-class destinations to devise a workable list of best beer cities. But leave it to Joel Bullock, “The Coaster Critic,” to rank America’s best coasters. Bullock is a Virginia native who moved to North Carolina but has been a rail-roller coast to coast. Let’s start with his all-time No. 1. Once justice—and equilibrium—has been restored, hit Tree House (if, presumably, you’re heading back to Boston). Until such point as White Lion Brewing opens its brick-mortar-stainless brewery in Springfield later this year, Tree House Brewing Co. (160 E. Hill Road, Monson) is about the easiest stop close to the park. Its cozy, homey atmosphere replete with the sounds of carefully selected play lists and/or the crackle of the fireplace when it’s chilly offers a nice contrast to said park. What’s more, Julius, Tree House’s bodaciously hopped IPA, thrills all who quaff this tropical hop bomb. And for those who need to keep the adrenaline flowing, Double Shot sounds like it could be a ride, but this coffee stout—sometimes made with the roller coaster-sounding “Hair Bender” blend—is delicious on its own. It can be doubly exciting when using various appellations of Stumptown espresso or other enhancers such as hazelnuts or vanilla beans. Tree House Brewing Co. in Monson, Mass. makes for a tranquil stop after a day at Six Flags New England. In its 1.5-barrel nanobrewery, Village Idiot Brewing Co. brews beers like Teddy Hopper and Teddy the Younger. 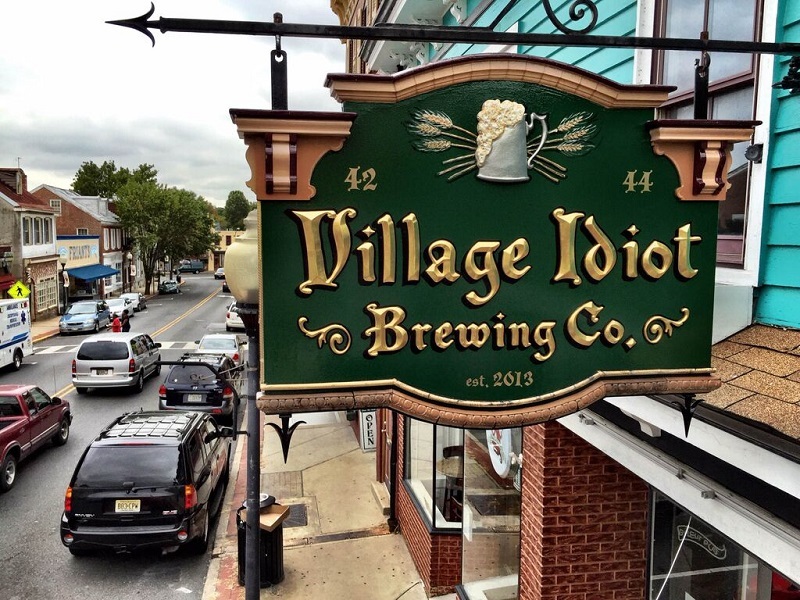 With your remaining brain cells head to Village Idiot Brewing Co. (42 High St. in Mount Holly). This South Jersey nanobrewery, a foolishly small 1.5 barrels, includes an inviting pub. Given the small batch sizes, new beers appear frequently (cucumber cream ale, anyone? ), but these alchemists have created a pine-scented DIPA called Teddy Hopper. Visit at the right time and you’ll even find an imperialized version called Teddy the Younger. While state licensing makes things like serving food difficult, guests are welcome to bring their own pizza from Downtown Pizza and Grill across the street. As a matter of fact, in case you didn’t win a prize at Great Adventure, you can find some tasty souvenirs at craft-centric Red, White, & Brew (33 High St., next to Downtown Pizza) such as seasonal releases from Neshaminy Creek Brewing located on the Pennsylvania side of the Delaware. Most people visit this area to get a taste of Colonial American life. But settlers here have made great civil advancements since then. Take Apollo’s Chariot at Busch Gardens (yes, once part of a beloved chain of Anheuser-Busch-owned amusement parks). This ride takes Bullock’s bronze medal even if the name is deceiving. Rather than soar straight across the sky, this chariot seems to plunge out of it—repeatedly—though does give riders great vistas of the region’s woody terrain (if they can keep their eyes open). A short jaunt south of the park takes you to the Jamestown Settlement. Or, if you stick to I-64, better yet you’ll hit AleWerks Brewing Co. (189B Ewell Road, Williamsburg). Among the 17 fresh beers available, one is always served from a firkin, just as the Redcoats would prefer. A house favorite is Washington’s Porter, with more than a suggestion of chocolate, smoke and even some licorice. When both Southeast and Northwest Ohio have world-class parks and can brag about boasting the best roller coasters, there’s clearly something in the water and not the stuff that set the Cuyahoga River on fire in Cleveland. Kings Island in Mason, Ohio, the greater Cincinnati area, packs a one-two punch with The Beast and The Banshee. The former, at 7,359 feet, remains the longest wooden coaster more than 35 years after it opened, giving beast-tamers what Bullock calls “an epic five-minute-long ride” of quivers as it meanders through some 35 heavily wooded acres. The Banshee opened last year occupying the footprint of a ride called Son of the Beast. This steel ride is the longest—and fastest—inverted coaster. 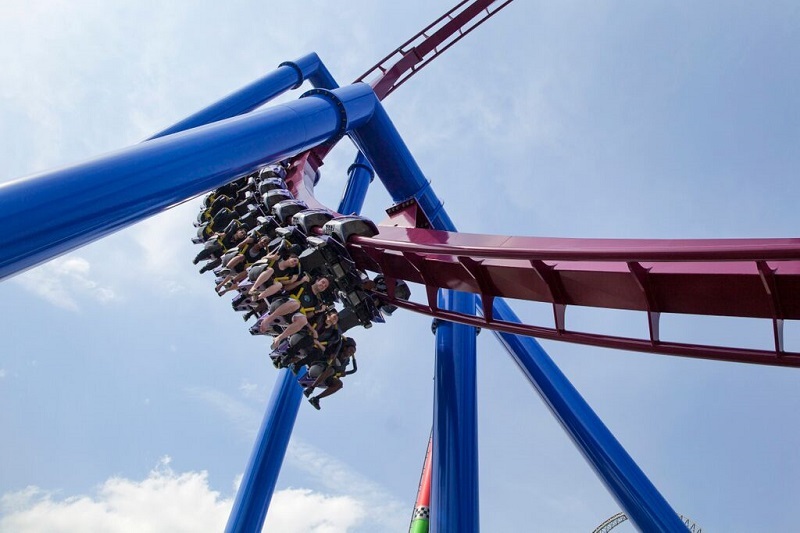 The Banshee at Kings Island in Mason, Ohio is the longest and fastest inverted coaster. Beer-wise, Cincy metro is now home to 18 breweries “with another nine that are funded and (opening) this year,” reports Chris Nascimento of the Cincinnati Malt Infusers, who programs many area beer events. Closest to Kings Island is Cellar Dweller Craft Beers (2276 U.S. 22, Morrow), tucked into Valley Vineyards (and hop yard) merely seven miles from the park. Nascimento praised Hopewells Oatmeal Milk Stout and Shawsome Black IPA as two of his favorites among the dozen-ish house taps. 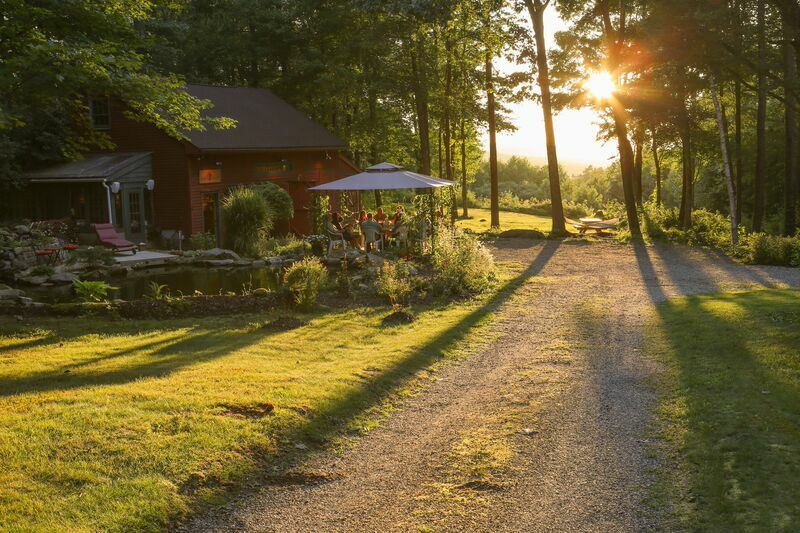 Artisanal cheeses and pretzels add to the farm charm. South toward the urban core, MadTree Brewing Co. (5164 Kennedy Ave., Cincinnati) “ranges from excellent to incredible,” says Nascimento. After turning and tilting all day, whether you lean toward “C hop” bombs like their PsycHOPathy IPA or darker fare like Axis Mundi Russian imperial stout, MadTree’s 16 taps have got you covered, including a house-made root beer at this family-friendly joint. As the state’s first canning craft brewery, it sells various aluminum-wrapped mementos to take home from your visit. Another canned good to take home—and we’re not talking Cincinnati-style chili, which is a must-try—is Truth IPA from Rhinegeist Brewery (1910 Elm St.) in the old Moerlein bottling plant built in 1895. Between the name (think of it as ghost of the Rhine) and history, the thing Nascimento finds most haunting is Uncle, a 3.8% English mild that’s just part of the family of beers, including Dad (a hoppy holiday ale) and Gramps (an American barleywine). One of the forthcoming breweries I’m looking forward to is Braxton Brewing across the border in Covington, KY, since many Ohioans consider Cincy to be North Kentucky anyway. Dave Dixon, one of the winningest homebrewers in the nation, is among the brewing crew. Reach 93 mph on the Millenium Force at Cedar Point, and then slow down for beers at Small City Taphouse in Sandusky. Then, far across the state, Cedar Point on Sandusky’s Lake Erie peninsula may not find itself on Bullock’s list but earns several top honors in the form of Golden Ticket Awards, doled out annually by Amusement Today, a monthly theme park publication. In 2014 Cedar Point was named its best American park. The No. 1 coaster on its list was Millennium Force, and five of the park’s 16 roller coasters were placed in the top 32. 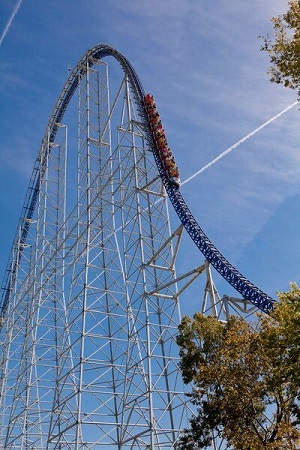 Millennium Force, with a top speed of 93 mph, broke six world records after its construction in 2000. Slow down and visit Small City Taphouse (202 Columbus Ave. in Sandusky). Don’t be surprised that this Vietnamese and sushi restaurant has 44 taps. It’s an offshoot of Mekong, the Vietnamese restaurant and beer mecca in Richmond, Virginia, operated by An Bui that was founded by three Bui brothers, including Kha and Chuong. As members of the family moved to Ohio, leaving An to run the Mekong is for Beer Lovers empire, Kha opened his taphouse—just three miles from Cedar Point—in the small city of Sandusky. This rare Midwestern sushi haven offers the Small City Tap­house Roll, its signature roll, which features spicy tuna, salmon, mango and spicy mayo and eel sauce. Kha says it goes perfectly with Columbus Brewing Co. Bodhi Double IPA, “the hottest beer in Ohio right now,” which others can’t get but you’ll always find here. “My goal is to promote Ohio beer, and bring it in any way I can,” says Kha. Meanwhile, his brother Chuong runs the Sandusky location of Mekong Authentic Vietnamese Cuisine (4318 Milan Road) all of 10 minutes away, and yes, the beer selection is top-notch, too. What happens when there’s too much amusement in an amusement park’s roller coaster? In industry parlance it becomes a giga coaster. Think: IRC (imperial roller coaster). This spring, Carowinds unleashed Fury 325, the world’s tallest and fastest such giga. The Fury part of the name is self-explanatory. The 325 comes from how many feet high it goes before zooming nearly straight down reaching 95 mph. Survive such furiousness and hit NoDa Brewing (2229 N. Davidson St., Charlotte), a local favorite brewery that opens its doors every afternoon and earlier on weekends if one time on Fury was enough for you. Actually, it’s not just a local fave; NoDa Hop, Drop ’N Roll IPA won the gold medal at last year’s World Beer Cup for this approachable IPA hopped with Citra and Amarillo. NoDables is the brewery’s series of four small-batch beers per month that maintain the spirit of homebrewing and may (actually, has) included an amber with sugar and spice to emulate graham cracker flavor or Belgian-style pale ale with pears and cantaloupe because they can. What’s that down the street? North Davidson’s other brewery, Birdsong (1016 N. Davidson St.) completes the one-two punch, and the big question is whether you go for the Free Will Pale Ale, straddling the line between a British and American pale ale, or Jalapeño Pale, Free Will kicked up with fresh peppers packing flavor over heat. Also appeasing the chili beer fans, Mexicali Stout is a seasonally available chocolaty stout with coffee, cinnamon and of course chilies. It’d go great with some brisket if you find the OooWee BBQ truck parked outside. Anaheim’s Noble Ale Works is just minutes away from Disneyland. Maybe it’s because West Coasters would rather do yoga on the beach than get adrenaline and sugar rushes at a glitzy boardwalk, but Orange County’s world-famous mouse house offers mostly tamer rides with one that’s fairly distinct. Space Mountain at Disneyland is gripping for running through nearly complete darkness, and the sparse, galactic lighting works to great effect. Afterward, soak up five minutes of sunshine en route to Noble Ale Works (1621 S. Sinclair St.), Anaheim’s other favorite tasting room (unlike Space Mountain riders, no one’s in the dark about The Bruery, nearby). Hoppier fare rules the roost with a never-ending assortment of beers in the IPA family, including a series of “Showers” that show off individual hop varietals from around the small world (but also shower the drinker in hoppy goodness). 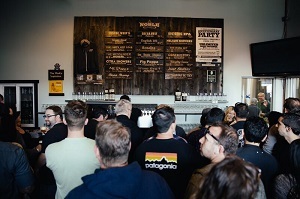 But then again, even in the hoppiest place on earth, Noble pours the crowd favorite Naughty Sauce, a milk “stout” that’s really a golden ale base with lacto and local Portola Coffee. Bootlegger’s Brewery (130 S. Highland Ave., Fullerton) is eight miles away, but for SoCal that’s super close. Bootleggers took home a pair of medals at last year’s GABF for Rocco Red and Galaxian Barleywine. One of its most popular beers, a DIPA named Knuckle Sandwich, is limited in availability. More year-rounder Black Phoenix Coffee Chipotle Stout was inspired by brewmaster Aaron Barkenhagen’s visit to a local Mexican market while self-distributing his beer in the early days, circa 2008. The dark-roasted stout boasts an impressive espresso aroma and initially hits with a sweet, creamy texture while the aftertaste hints at the heat from the dried chipotle peppers. Let the burn dissipate while playing some classic arcade games in the taproom. That was a great read! Quite an interesting pairing. I completely agree that I’d keep them separate by enjoying the coasters and then the beverages. I’ve had some local Charlotte brews including NoDa and Olde Mecklenberg. NoDa’s Coco Loco Porter blew me away.